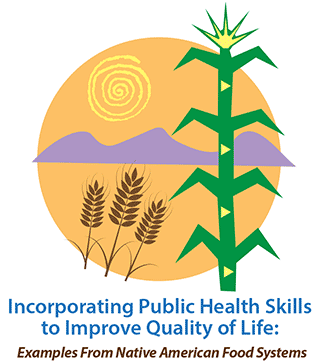 The Western Region Public Health Training Center (WRPHTC) just hosted its first virtual conference to discuss and develop the skills needed to tackle disparities in diet-related disease and food access. The goal of the conference was to present and practice strategies in the areas of assessment, policy development, and assurance that can promote the development of local food systems and improve community health, particularly on tribal lands. Register at no charge by clicking the "Registration" button on the right to view the conference archives, including the recordings of our presenters and workshops, and participate in discussion boards about using program planning and policy development to increase access to healthy foods. The website and archives will be available upon registration until October 1, 2017!